Stonehenge, the 5,000-year-old megalithic monument on Salisbury Plain, Wiltshire, is the most famous place in England to celebrate the Summer Solstice, but I've never been there to see the sun rise on the longest day of the year. However, that isn't for lack of intent. I'm not saying I've never visited Stonehenge - I was taken there as a child, back before the fence was erected, when you could wander freely around the the stones. I remember finding the towering megaliths awe-inspiring but a bit scary. But I've never been there for the Solstice. 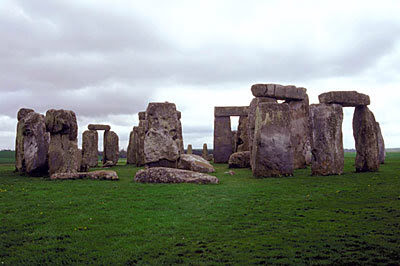 In the late 1970s and early 1980s I had friends who would go to the Stonehenge Free Festival - a festival of alternative culture and music at the ancient stone circle that culminated in a huge celebration of the Summer Solstice on 21 June. One year, I decided I'd had enough. I quit my job and decided to take the summer off and have a really good time - including going to the Stonehenge Free Festival. That was the year it didn't happen. English Heritage, which manages Stonehenge, was worried about potential damage to the ancient monument by the festival and put a stop to it. A four-mile exclusion zone was set up around the stone circle. On Saturday, 1 June, 1985, a few hardy New Age Travellers known as the The Peace Convoy tried to get to Stonehenge for what would have been the 11th Stonehenge Free Festival, but clashed with Wiltshire Police in what became known as the Battle of the Beanfield. I wasn't there; everyone knew trouble was brewing and I didn't particularly fancy getting arrested. Yet, again, I've not been since the stones reopened. The reasons have been work, family responsibilities or commitments to other pagan Summer Solstice celebrations closer to London, where I live. This year I was determined to go. But on the very day I was looking into transport details to get there, I was offered some interesting and well-paid freelance work right over 20 June and 21 June. I was definitely in a dilemma, so I asked a few friends what they thought I should do. One said: "Stonehenge is a bit of a mixed experience. Miss it this time, but go another year." Another added: "It is nice to be able to walk up to the stones and touch them for once, but after about 2am you can't get near the stones for the crowds, and if you do get there it's a horrible crush, lots of people climbing all over the stones and partying... plus you can't see the sunrise for everyone holding their phones in the air to take photos of it... and police everywhere..."
Even a Wiccan high priest who I've known for ages told me: "You'll have more fun taking the money." So, I took the advice. I'm not going. I'll celebrate the Summer Solstice privately, close to home. Then I'll treat myself to a trip to Stonehenge later in the summer - and maybe stop off in Glastonbury to spend that money I earned working over the Solstice. But I'm still not quite sure I made the right decision. What do you think? I've come to the conclusion that if one means to go somewhere/do something and it doesn't happen, that's how it's meant to be. Call it Fate if you like, but it just seems to be. Maybe Fate has another destination for you which hasn't been made clear yet, and perhaps what Stonehenge is perhaps trying to say is that it's become too commercialised - I get the impression that if the police need to be there it's not as spiritual as it could be ? I went to stone henge a couple years ago, walked around the barriers with all the other tourists, remembering back when I was a kid and there were no barriers. I had more fun at Avebury. I think the less people are around the better, it's nice to visit on a quiet day. I'd give the solstice visit a miss. Stonehenge is associated with solstice on the basis of Professor Atkinson's statement and the evidence provided by Hawkins. However, it's only true if a 10 metre tree-line existed in the neolithic. If not, then Stonehenge does not line up with the solstice. The natural height of the tree types in that area would have been about 35 to 40 metres. Perhaps you have a sixth sense that solstice is the wrong time of year to be there? I think it sounds like a good idea, to celebrate the solstice at home. Stonehenge is going to be thronged with people and I personally find it distracting from the reason why they're all there. I think I would like to go at least once-just for the experience, but not for a while yet. Stonehenge would be best if it were restored. Then we could experience what was meant. At least that's my opinion. Unfortunately you can't restore the way the sun, moon and stars would have aligned with Stonehenge when it was originally built, so you wouldn't be able to experience what was meant even if the stones were all put back in place again. I imagine it would be hard to feel the spiritual connection if some random Bob is stepping on your toes right next to you. I think one day you may get there but it will be when the time is perfect for you. Lotus C - I agree, places that are more natural feel far more spiritual.